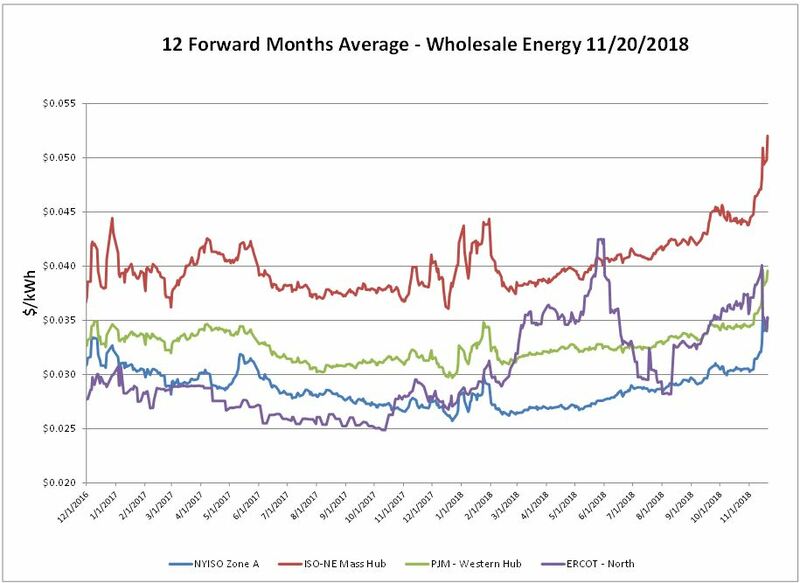 The electric markets continue to show volatility as it follows the uncertainty surrounding the upcoming winter and natural gas prices. 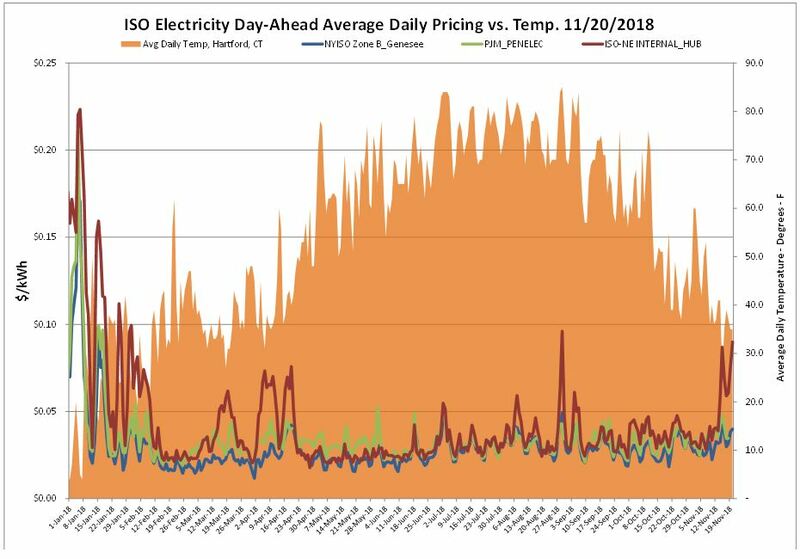 Below normal temperatures continued the dominate the day-ahead electric market, most notably for ISO-NE. 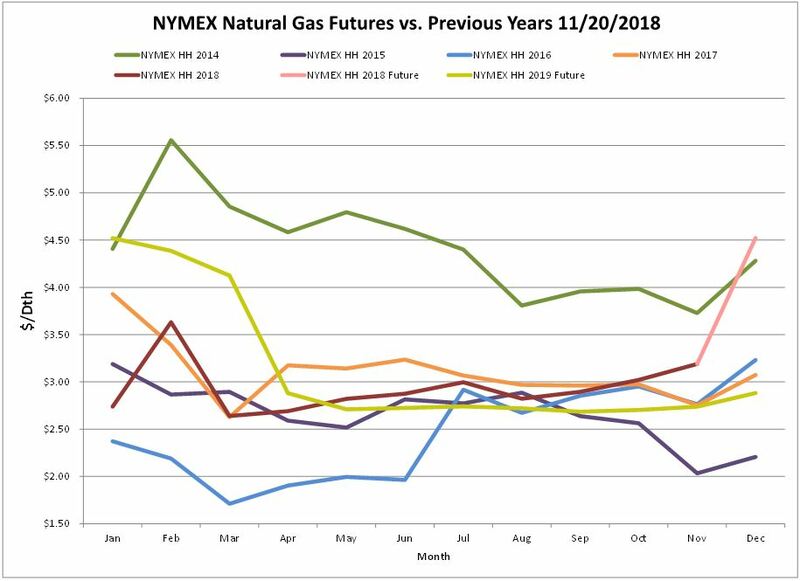 Both the winter strip (Dec’18 – Mar’19) and 2019 strip on the NYMEX saw some relief over the report week. Some of the recent gains that had been seen were chipped away at as the market continues to determine where it’s comfort level is. You can see from the chart below the dramatic shift from March to April prices. The Dec ’18 contract will settle Wednesday, November 28th. The EIA report a large net withdrawal from storage of 134 Bcf. As of Friday, November 16, 2018 working gas in storage was 3,113 Bcf. 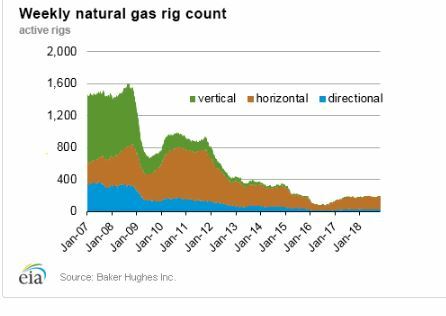 The Baker Hughes exploration gas rig count was unchanged week over week for a total of 194 rigs. This is 18 more rigs than were in operation at this time one year ago when there were 176 rigs. 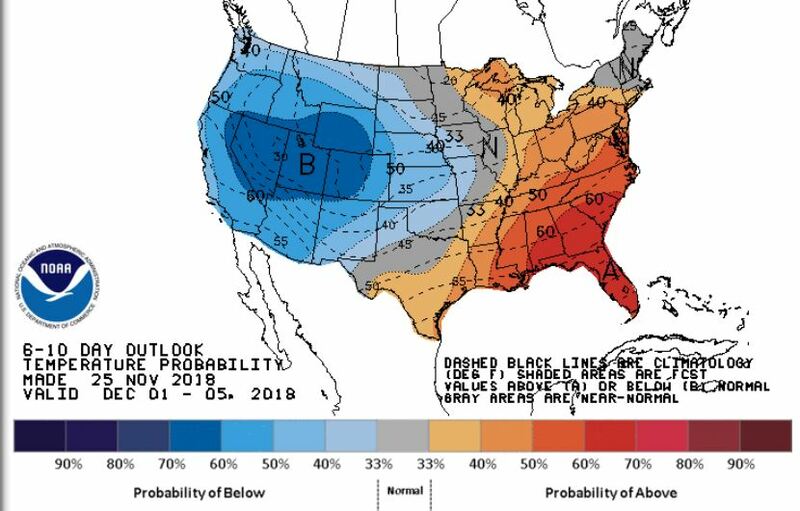 The NOAA 6-10 day outlook shows a split weather pattern, with the eastern half of the U.S. expected to see some above average temperatures for the first week of December, and the western half anticipated to see some below-normal temperatures. 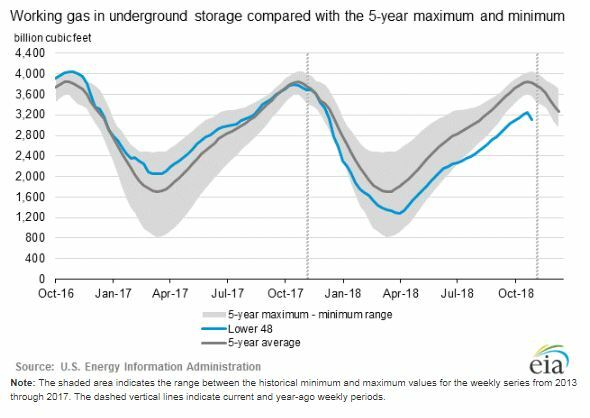 Working natural gas in underground storage in the Lower 48 states as of October 31, 2018, totaled 3,208 billion cubic feet (Bcf), according to interpolated data from EIA’s Weekly Natural Gas Storage Report released on November 8.